So you’ve written your website. There’s great content, you’ve got links and are starting to get visitors. But they don’t stay. Just look at a page or two and go. Are there lots of little mistakes in your writing? How much time did you spend on website proofreading? Your content might be excellent but if the text is filled with spelling and grammatical errors no one’s going to spend long enough on your site to find out how great your content is. If your audience are always finding mistakes in your spelling or grammar they'll be distracted; they'll be looking at and remembering the mistakes and not your content. But website proofreading isn't too difficult if you’ve used simple everyday language and short sentence structures. There are many different techniques to help you proofread in the proofreading techniques article in the proofreading section. But possibly the most important for websites is to use a spell checker. If you’ve written your text in a plain text editor, copy and paste it into a program with a spell checker. This should help you find most of the basic spelling mistakes and typos. These are the main problems with websites. 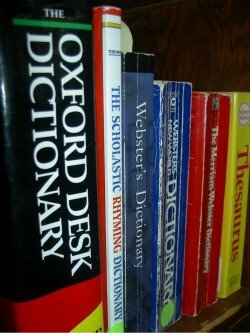 As the article on proofreading techniques says many proofreading articles and experts immediately say beware of spell checkers. But just remember that it’s your document. Just because the spell checker says something is wrong doesn’t mean it is. Use your own judgement. The spell check just helps you find words which might be wrong. The second most important point would be to print and read each page of text. This is a method that works. You’ll find many more mistakes on the hard copy than on a computer screen. You shouldn’t have too many problems with the grammar and sentence structures if they've been kept short, without too many extra clauses and phrases added. Your readers want simple language, so give it to them, and make your own life easier by only having to write simple sentences. Your writing is what your readers will judge you on first, before they’ve had time to understand your content. Make sure it leaves a good impression – proofread your website text.